Personalize this heart name necklace in sterling silver or 14k gold filled or 14k rose gold filled. Choose any name or word for this necklace, up to 10 letters long including the sweet little heart at the end. Makes a great Valentines Day gift. A gift note can be included for your recipient at no additional charge. The name portion measures from 3/4 inch to 2 inches wide depending on how many letters it is. The length you select will include the name with a heart and chain. This necklace is absolutely darling! Very fast shipping too! Personalized Custom Name Necklace with heart. 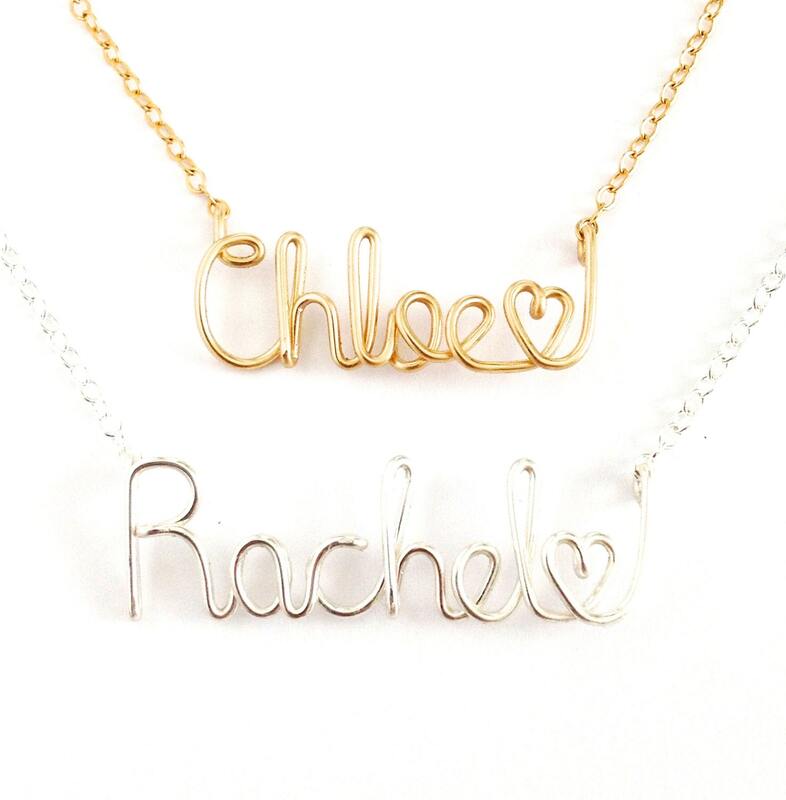 Custom Gold or Silver or Rose Gold Name Necklace with heart.